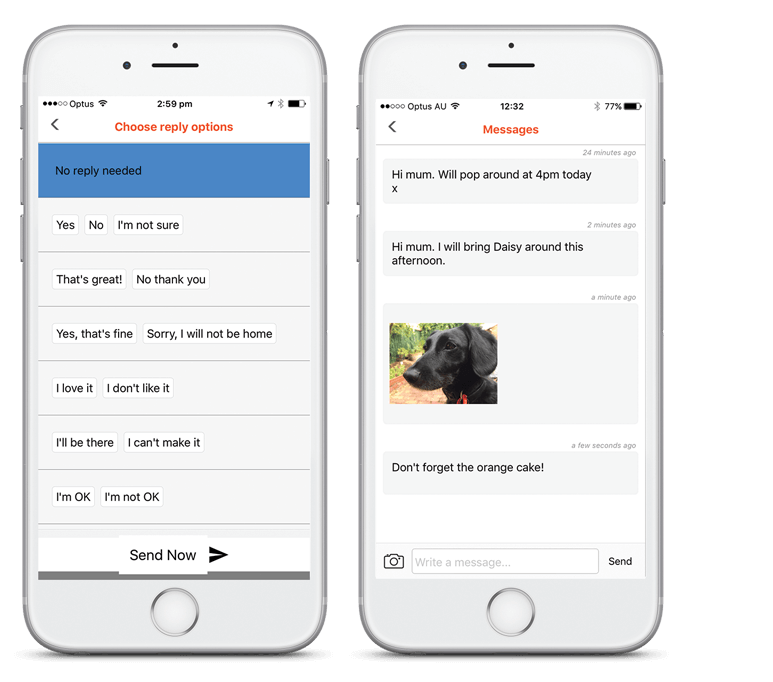 The messaging feature of Lumin is very easy to use. You can either send a text message or a photo image. To begin, tap on the "Messages" button on the main screen of the app. Tap on the text bar at the bottom of the screen and start typing your message. Tap on "Send" to send the message. Next, choose the one-touch reply option for the Lumin User. When you are done, tap on "Send Now". The text message will be sent to the Lumin Screen user. Tap on the camera button at the lower left side of the screen. Tap on "Send Now" when you're done.